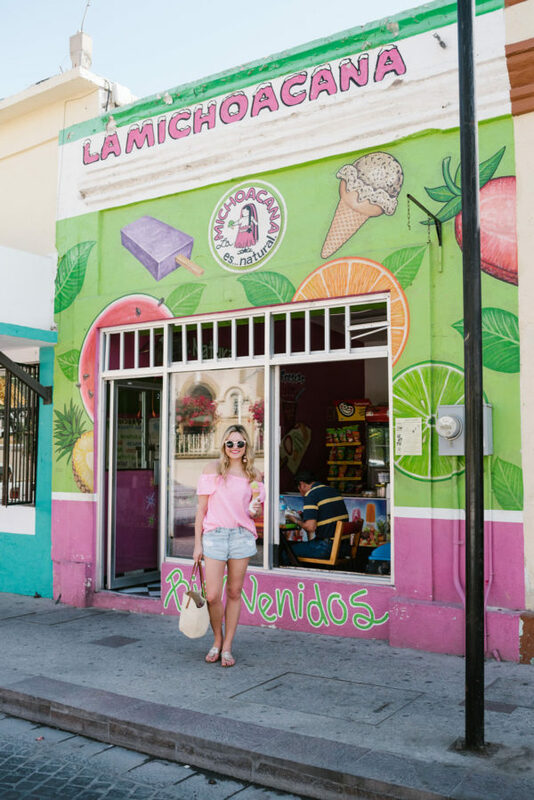 Exploring San Jose del Cabo was one of my favorite parts of my trip to Cabo! 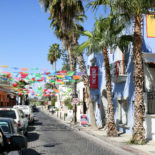 It was a short cab ride (about 15-20 minutes) from our hotel and while some parts were a bit touristy, I felt like we got to experience more of the traditional Mexican culture by wandering through some of the side streets. 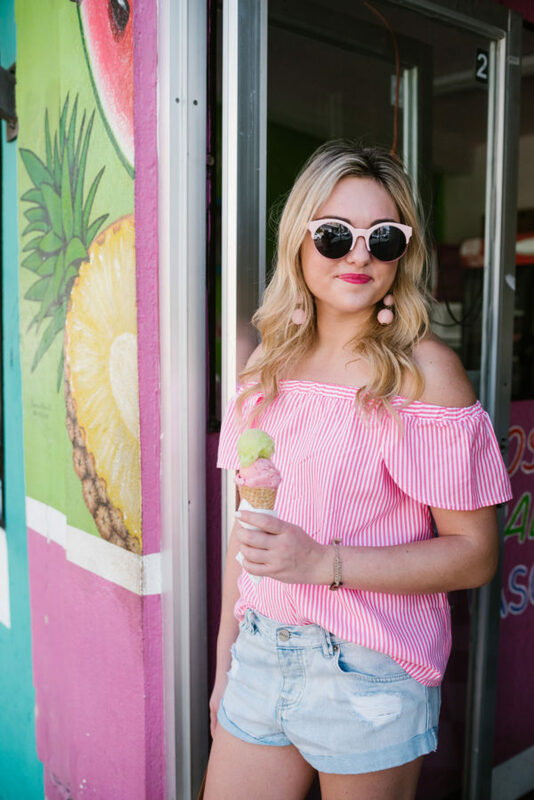 I kept it casual with a pink striped off-the-shoulder shirt, cut-off jeans shorts, a straw tote, and simple sandals! I’ll share more photos of the town in a different post, but keep scrolling for my absolute favorite shop we stumbled upon, Shima Shima! Everything was made in Mexico and I could have easily walked out with the entire store if I had more room in my suitcase… Pom-poms for days! Everything was just THE CUTEST! 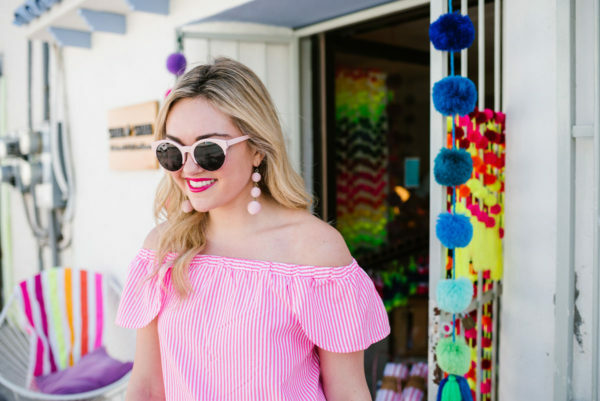 So much color, so many tassels, all of the stripes, and pom-poms for days. I was like a kid in a candy store! I bought the cutest colorful straw bag (coming soon in another outfit post!) and loved seeing the Las Bayadas beach towels that I already have. All of the colorful buildings and wall art put such a smile on my face, too! Lots of photos to come soon. Seriously, though.. How cute is this little storefront?! This is the kind of outfit I want to wear everyday, so cute and comfy. OMG everything is the cutest! I love how colorful everything is! 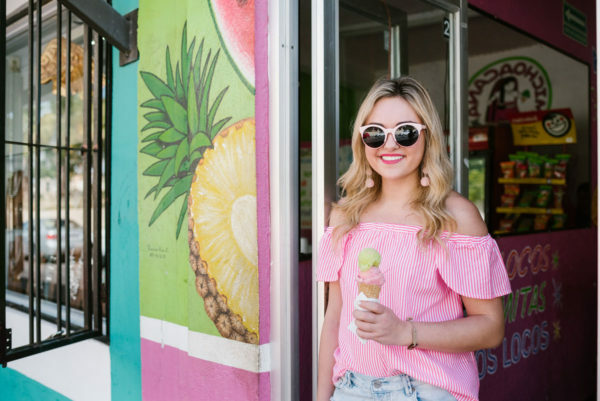 Looking super cute in this candy like outfit! 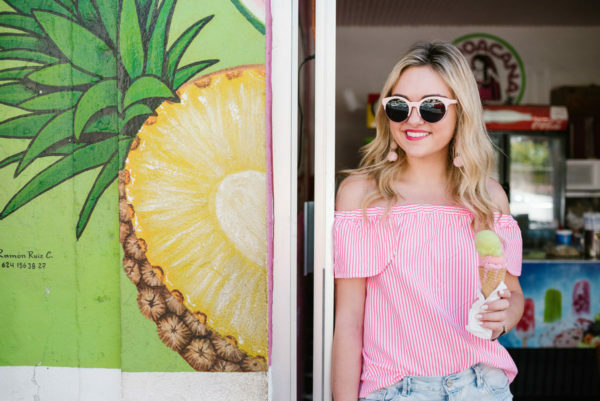 LOVE your top and sunnies! Michocana’s are the best for fresh juices and ice cream! You look so cute in these photos! 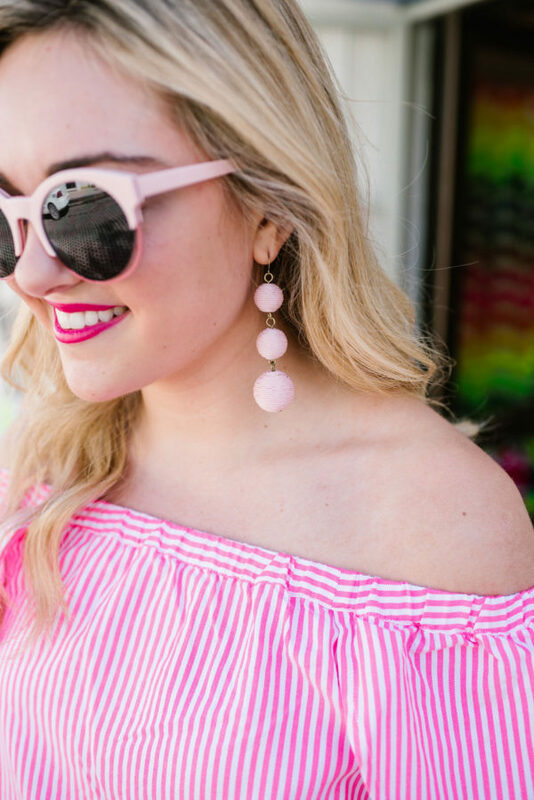 This pink blouse is just so lovely!